Oh, furniture and where to put it! Space is often at a premium at home, whether you're living with roommates in a small city apartment, in a tiny home (or a home that feels like one), or with a large, crowded family in the suburbs. 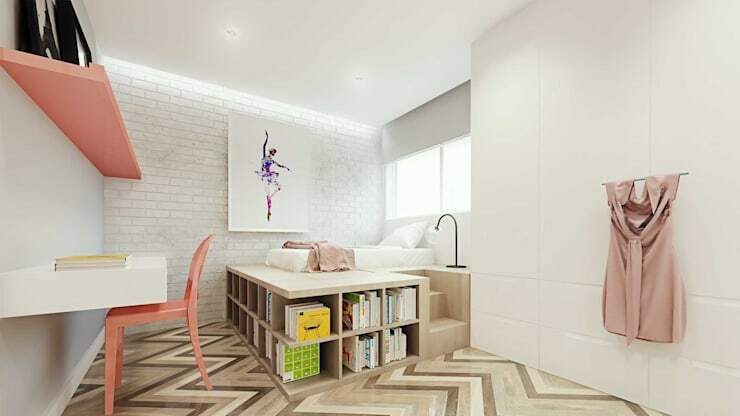 For modern life, furniture needs to more adaptable, efficient, and multifunctional than ever before in order to fit conveniently into the space- and money-saving floor plans of today. 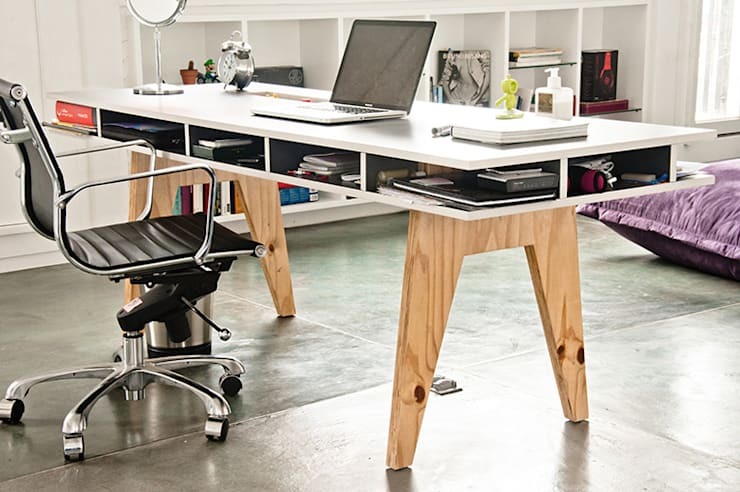 Here are 18 excellent examples of furniture that's made to mold to a busy modern lifestyle. 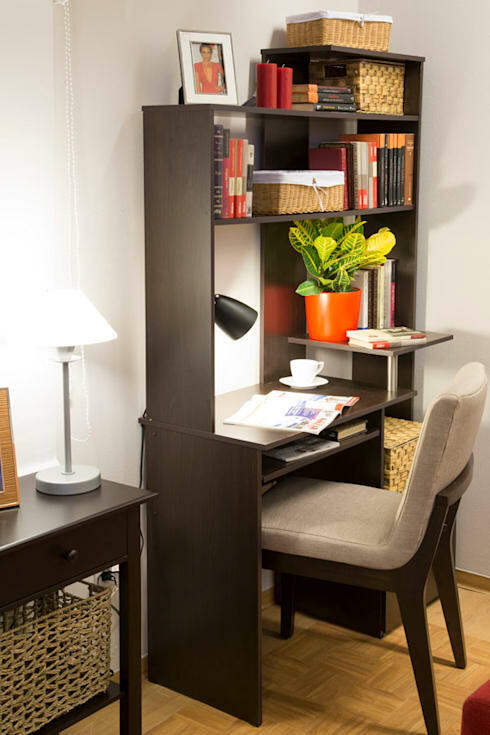 This bookshelf takes on a minor adaptation and becomes a small desk, maintaining a narrow enough profile to still hug the wall closely. Not only does this eliminate the need for two separate piece of furniture in your living room, but it also keeps your books and folders right where you need them while you work. It's hard to find a more efficient way of using the space under your bed. A trundle design keeps your storage organized and easily accessible, and it also provides an extra sturdy base for supporting a mattress. Rarely is a kitchen a room you'd be able to fit in a closet. However, the designers from Mill House have done it! 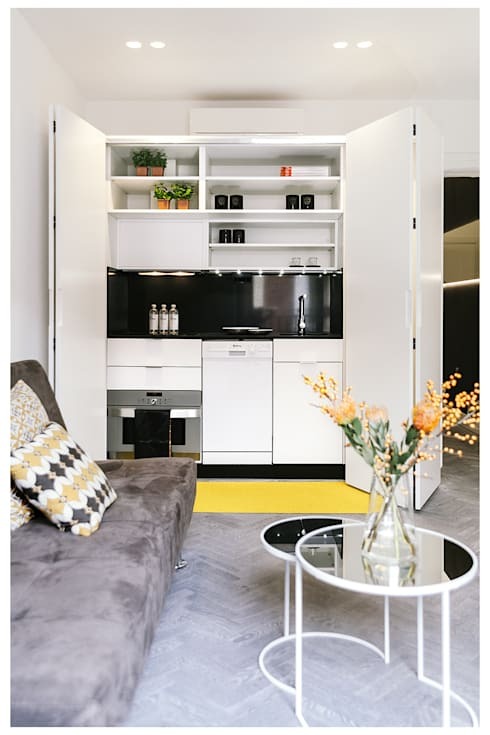 When not in use, this mini kitchen can be covered up by the folding doors, creating a seamless white wall that prevents the cooking space from intruding upon the lounging space in this studio-style arrangement. 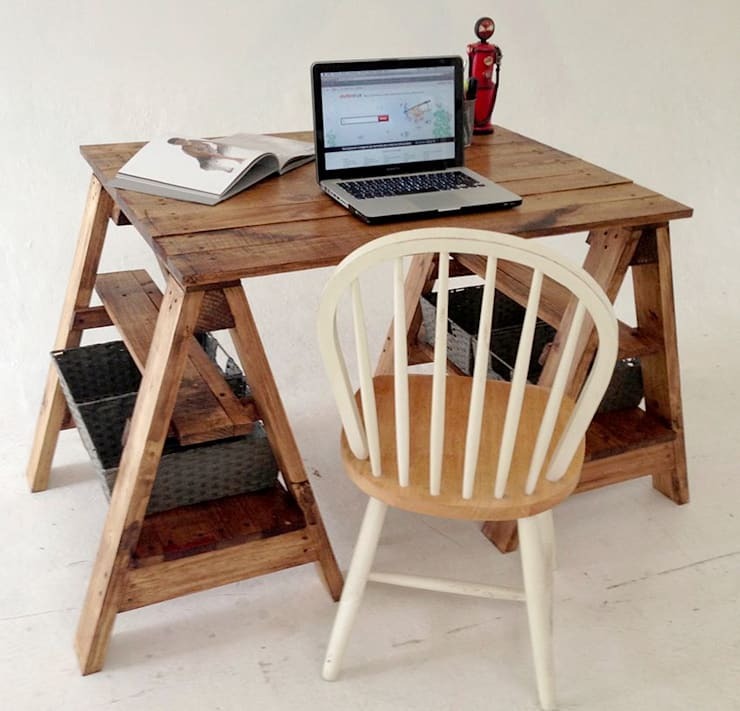 A few recycled sawhorses make for a great DIY project – you can create your own work table, like this one, personalizing the shelves and surfaces to suit your lifestyle needs. Bonus points: it's easy to disassemble and move into the closet should you need to! 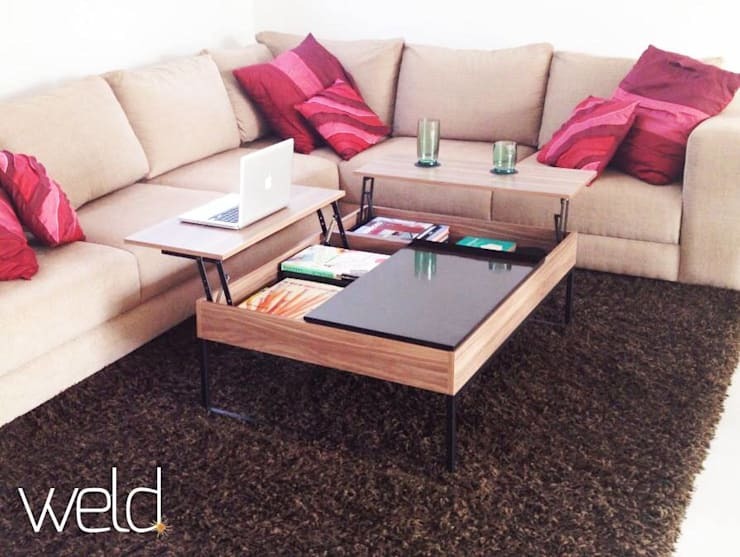 This coffee table is a large storage chest, with a hidden drawer that grants the exterior a seamless appearance. 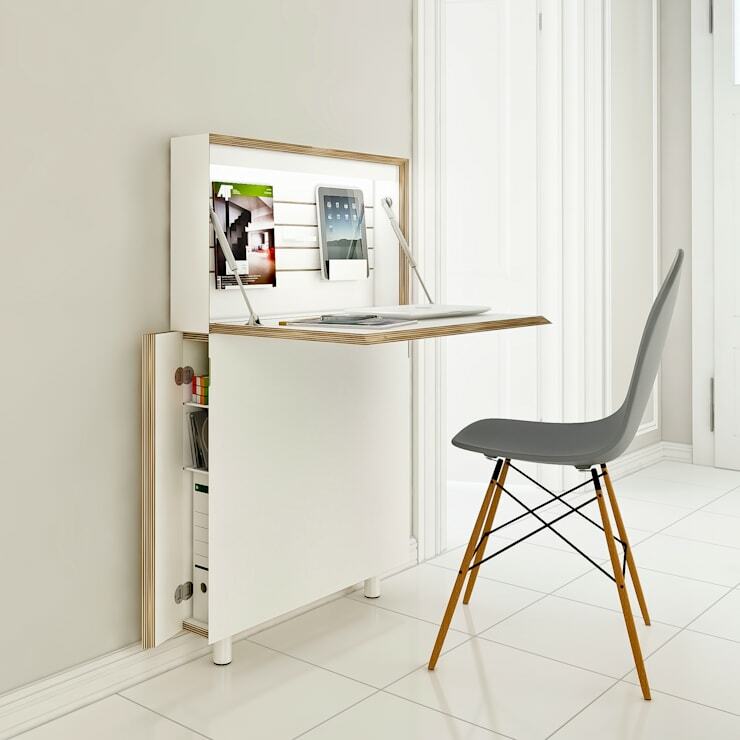 An inexpensive and space-efficient solution for study and work, this fold down desk takes up no more than a few inches of depth when tucked away, blending in easily with the monochrome white walls. 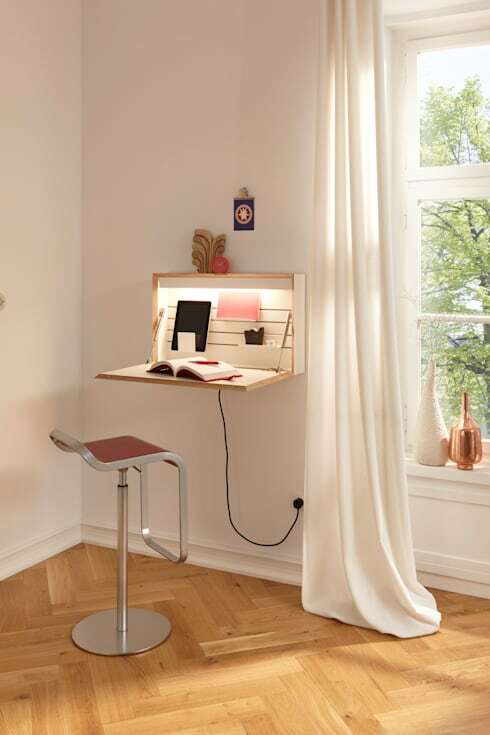 It's a moveable piece of furniture that doubles as a room partition. This shelf works to divide the space into separate areas, in addition to offering a fold-out desk and plenty of storage. This design is genius in its simplicity. An additional horizontal layer creates a shallow shelf all around the table, with separate modules to keep like items together. For anyone who likes to work from the couch, this table can fold out to offer an additional option for typing, playing cards, etc., and it's also an excellent solution for anyone with limited mobility. Who said that bookshelves need to lean against the wall? This shelf has converted itself into a raised platform for a lofted bed, doubling as a friendly bench that extends into the room. It's impossible to go smaller than this mini wall desk! For anyone short on cash, this simple construction is an easy and inexpensive solution that lets you store supplies while not in use, folding down conveniently when you'd like to study. Because it's much more fun to clean the bed when your closet looks like this. 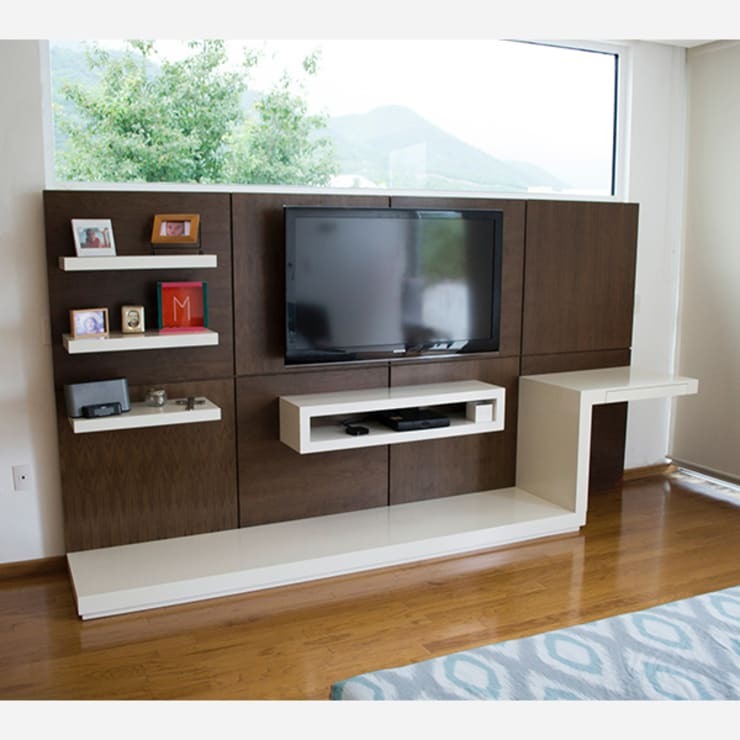 In a toned-down version of a sprawling entertainment centre, this sleek design offering everything you need (storage, a spot for the TV and electronic appliances) and nothing that you don't! This piece maintains a narrow profile, perfect for a narrow living room. 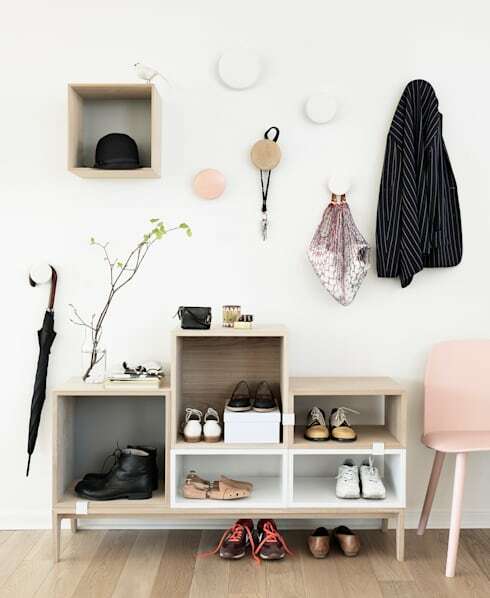 This entrance configuration is quite clever – it has a feature for absolutely everything, offering storage for umbrellas, hats, jackets, keys, boots, shoes… a highly functional setup indeed! 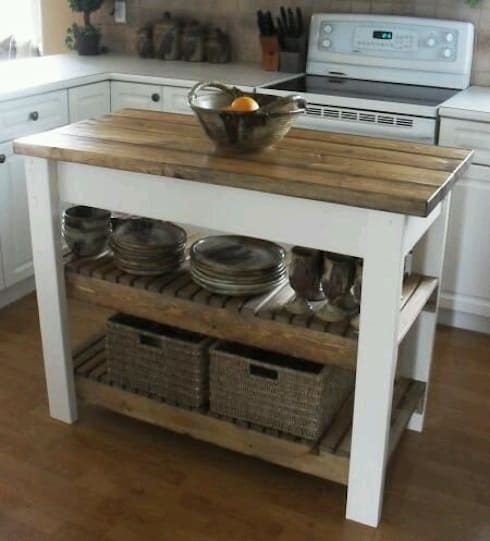 A good kitchen island design includes plenty of storage, like this design which includes both a shelf and storage baskets below the chopping block. 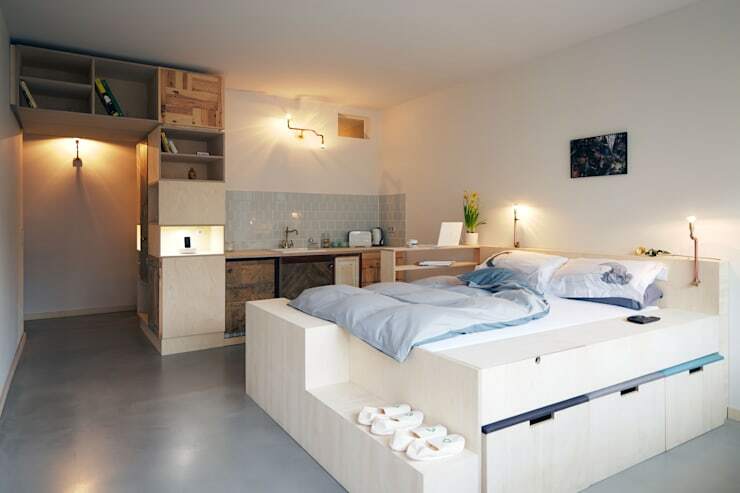 This clever bunk has it all: it sleeps two, offers storage and display space on a large shelf, a pull-out underneath, and a fold down desk. Too often you're left fiddling with the tricky leaves on the dinner table just minutes before the guests arrive (or, better yet, you leave this task to your willing guests). 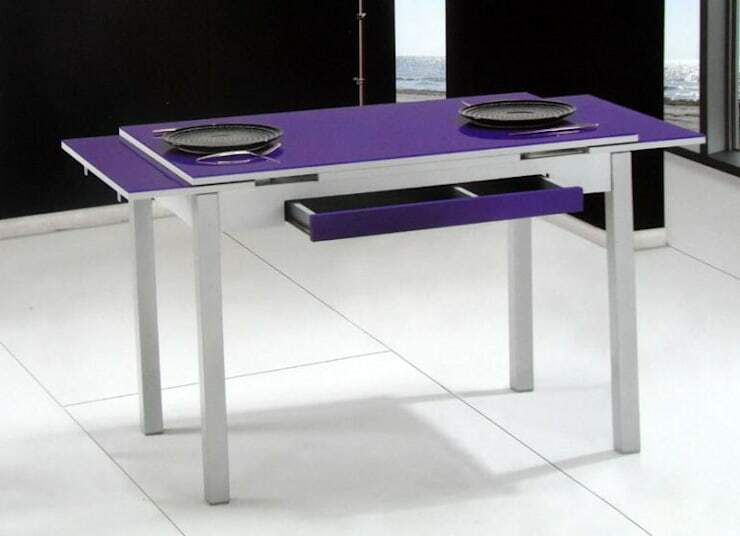 This table solves this problem with seamless slide-out leaves (adding a utensil drawer as well!). This apartment has no need for a separate laundry room – the bathroom works just fine! 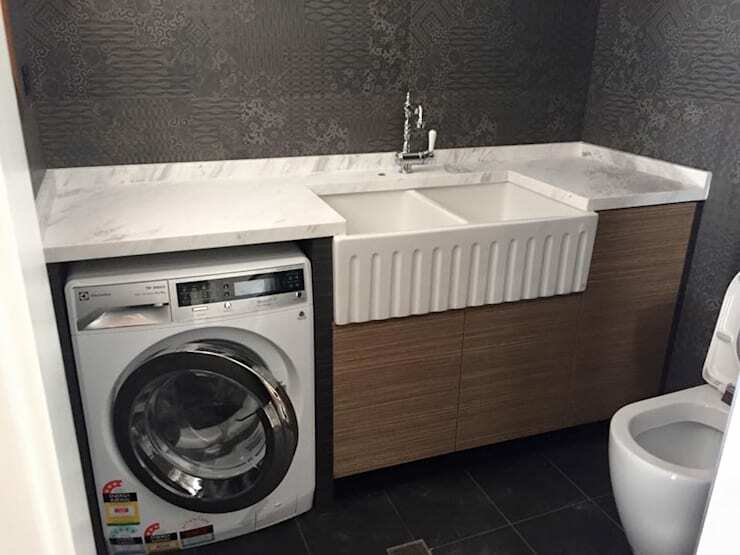 The surface above the washer can be used for placing the laundry, and also provides an unusually large bathroom counter space when not being used for laundry! 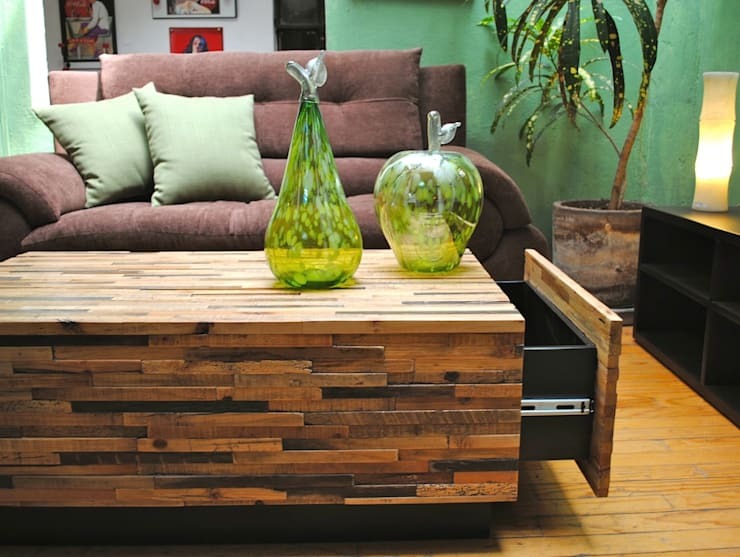 What do you think of these cool furniture ideas? Comment below!